When we start to look at purchasing a new bathroom, one of the most first things we want to know is how much it will cost so we can budget accordingly. It’s important to set a budget early on so you have a better idea of the items you can save on and those you can and should spend a bit more money on. The cost of a new bathroom, as you imagine varies depending on many different factors from furniture and fixings to tiling and flooring and everything in between. In recent years bathrooms have become a sanctuary, a relaxing space to escape to at the end of a busy day. It’s important for a new bathroom to offer tranquillity, style and function and to improve our lives and wellbeing. We spend a lot of time in our bathrooms and this makes it even more important to invest in a good quality and timelessly stylish design that will look good and work well for years to come. Many people look for the cheapest bathroom and labour, not realising that this can be costlier in the long run as cheaper products may not last as long and there may be no aftercare service to deal with any issues that arise. And this is just to name a few! Before someone receives a proposal from us we would invite them to come and look around our showroom for inspiration and to see how the bathrooms look in real life, rather than just in a brochure. We would also arrange a free home design consultation where one of our architectural designers visits your home to help you visualise what’s possible. There is no obligation to move beyond the planning stage at this point, it’s simply our way of helping you imagine what your new space could look like. Our designers and surveyors thoroughly examine all the options in an open and transparent way so you can be assured that every aspect of the project and its importance is considered. Most customers will spend between £15,000 and £50,000 for a new bathroom with the large majority falling between £20,000 and £40,000. This is just an average, it can be less and it can be more depending on what a particular customer is looking for and the features they have chosen. 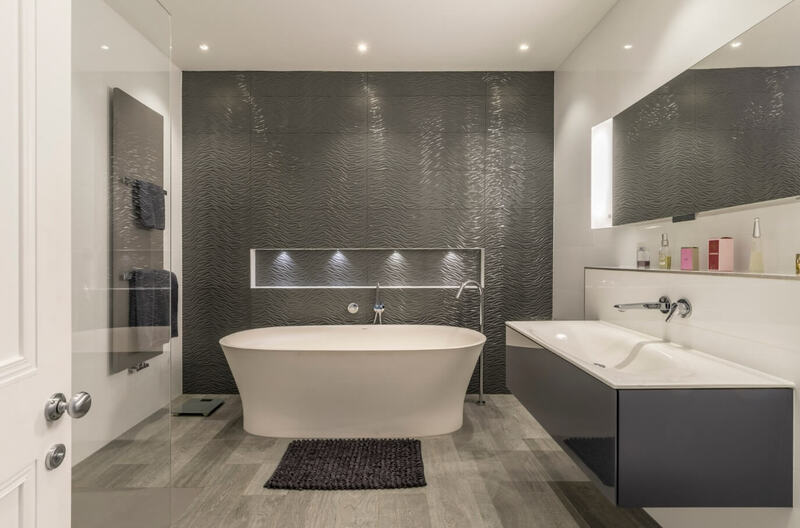 As you can see, the price ranges vary quite a bit, just as they should considering everyone has different tastes, wants, and budgets when it comes to installing a new bathroom. The best way to understand how much a new bathroom would cost you would be to have a chat with our designers and talk through what you’re looking for and what your budget is. This way they can not only help you picture what’s possible but also give you an accurate cost by taking into account the different features you’re after.